The Summit County real estate market remained strong in 2016, and economic indicators suggest that the market will boom through 2017. Historically low inventory levels combined with high demand are driving up the price of homes in Summit County. Consumer confidence is on the rise, making homebuyers more willing to pay higher prices for homes. The Breckenridge real estate market is leading the county, with a 37% market share of homes sold in 2016. In 2016, the average Summit County single-family home sold for $1,009,530 – a 6.8% increase over 2015. In Breckenridge, the average purchase price for a single-family home was $1,141,105, a 3.34% increase over 2015. According to the Land Title Guarantee Company, the average price per square foot in Summit County in January, 2017 was $442 (the average price per square foot at Lincoln Park is $360). 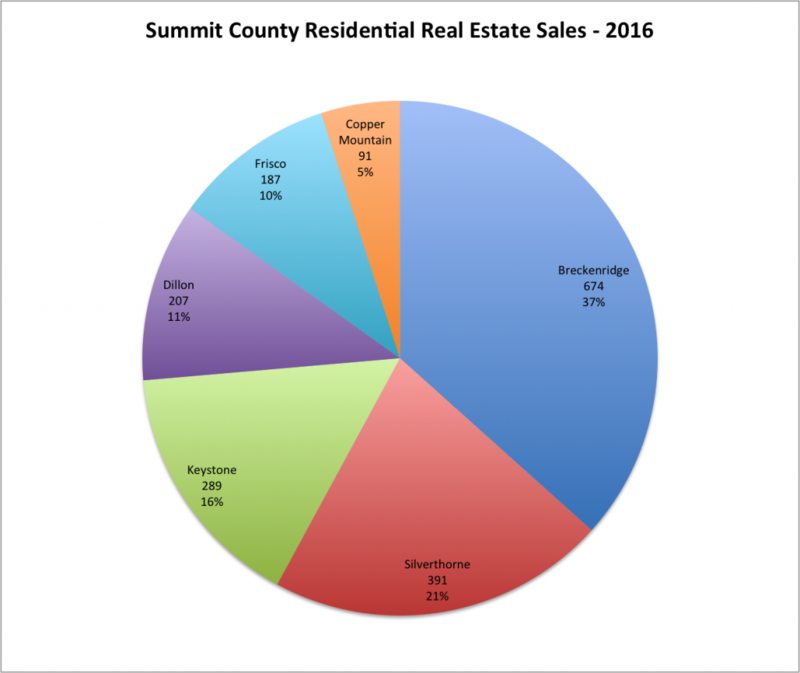 In 2016, Summit County homes stayed on the market an average of 82 days – representing a very relatively low amount of time on the market. By comparison, homes for sale in Lincoln Park at the Wellington Neighborhood in Breckenridge stayed on the market an average of just 21 days. Additionally, homes sold for an average of 97.4% of asking price – representing little bargaining room for potential home buyers. While many analysts predicted an economic downturn following the 2016 election, economic indicators show a boost in consumer confidence. The Consumer Confidence Index rose dramatically in December to 113.7, its highest level in 13 years. Wages also increased 2.8% in 2016, the largest annualized wage increase since the 1960s. The DOW Jones closed above 21,000 on March 1, 2017 for the first time in history – signaling investor confidence in the US economy. 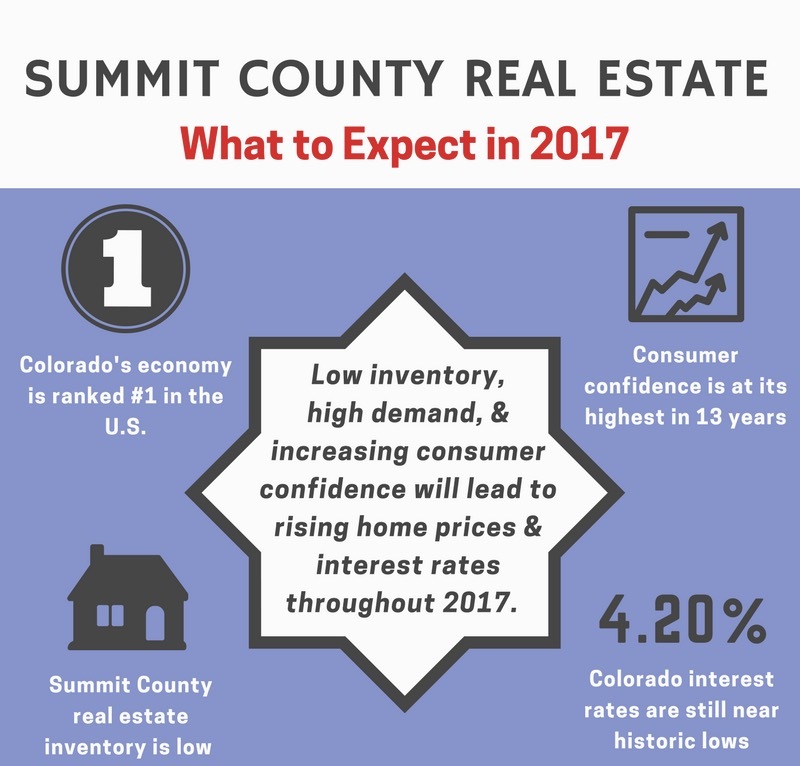 All of these economic indicators point to a continued increase in consumer spending, suggesting Summit County real estate demand will continue to grow in 2017. What does this mean for Summit County home buyers? According to U.S. News and World Report, Colorado’s economy ranks #1 among all fifty states, largely due a booming tourism industry and a developing tech industry in the state. Colorado is also ranked as one of the best places to live in the U.S, driving increasing housing demand. In fact, construction is now the fastest growing industry in Colorado as a result. The average mortgage interest rate in Colorado is still low at 4.20%, but rates are anticipated to climb throughout 2017. Home prices are expected to rise dramatically through 2017 as Summit County real estate inventory continues to decline and consumer confidence rises. Now is a unique time in US economic history where interest rates remain at historic lows while consumer confidence rises to historic highs. Now is a great time to purchase a home before the Fed increases interest rates to control economic growth.